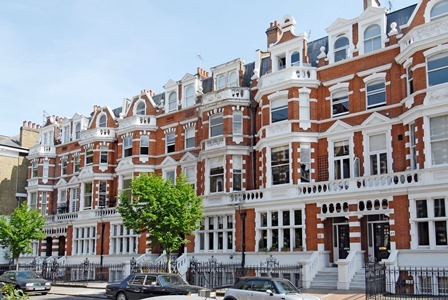 The buy to let market in Notting Hill and Kensington is all about nest-egg investment and is fuelled by derisory interest rates on building society savings, reports Tim Harrison. Last year, buy to let lending the UK was £16.4 billion – a 19% increase on the year before according to the council of Mortgage Lenders. It reflects the fact that ordinary building society savings accounts are paying half a per cent interest and pension returns are struggling to match expectations, turning more and more people into landlords to secure their future. Buy to let is booming fuelled by a readiness among mortgage lenders to loan to anyone who is already sitting on bricks and mortar. The consequence is a steady, solid market throughout Kensington and Notting Hill, with first time buyers pushed further out into the suburbs to have any realistic hope of getting onto the first rung of the property ladder. 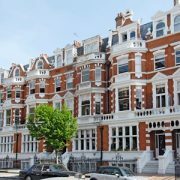 Michael Wilson, Head of Sales at Mountgrange Heritage and based at the Notting Hill office has two decades of experience in property. He’s a good example of the changing trends himself. A father of two, he re-jigged his borrowing when he moved out of his flat into something bigger…and is now renting the flat out. ‘Rich parents buy for their children and put it in trust, then rent the property out,’ said Michael. When the youngsters reach their late teens, they either move in or it continues to be rented out commercially. A greater availability of finance in the last couple of years is altering the pattern slightly but the ultimate driver remains distrust and nervousness with the financial markets, and the continuing confidence in property for a steady return. ‘The reason people buy to let in Kensington is not the yield, because you’re lucky to get 4%. Here it’s all about capital growth,’ he said, adding that those in search of weekly rental income were looking further out into the suburbs for returns of 5,6 or even 7%. The cheapest property on Mountgrange Heritage’s books at present is a studio flat in Bramley Road, W10 with a weekly rent of £250. But that really is the exception. There is next to nothing in even the one-bedroom range at less than £400 a week, though if you push up beyond the £450 mark, you enter the two-bedroom rental territory, making flat-sharing more viable and affordable. Buy-to-let landlords tend to have multiple portfolios of property, rather than managing a single apartment. Arla, the Association of Residential Lettings, reckons that the average number of properties owned by each buy-to-let landlord is eight, with up to a fifth of new building in London now reckoned to be funded by buy-to-let capital. It means there is a perpetual shortage of one and two bedroom flats in prime central London, which keeps rent levels steady and in turn fuels the buy-to-let market, which is partly propped up by tax breaks for investors. Although buy-to-let is increasing, it is still some way short of the biggest boom in 2007, just before the financial crash, when the number of loans to investor landlords was nearly three times today’s levels.